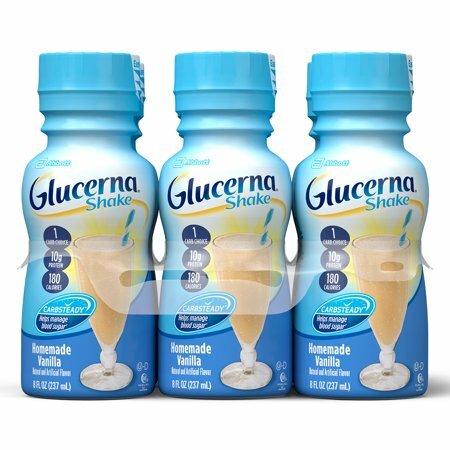 Glucerna is a brand of meal replacement shakes. It is made by Abbott, and designed specifically for people with type 2 diabetes. Those with prediabetes and type 1 diabetes may also use Glucerna. These products are low in calories and sugar and high in protein. A delicious meal or snack replacement to help manage blood sugar. BOOST® Original Drink comes in 3 great-tasting classic flavors—Rich Chocolate, Very Vanilla and Creamy Strawberry.